The Black Knights accomplished some incredible things in 1945. Not only did they have an undefeated season—for the second year in a row—but they also outscored their opponents a whopping 412-46. 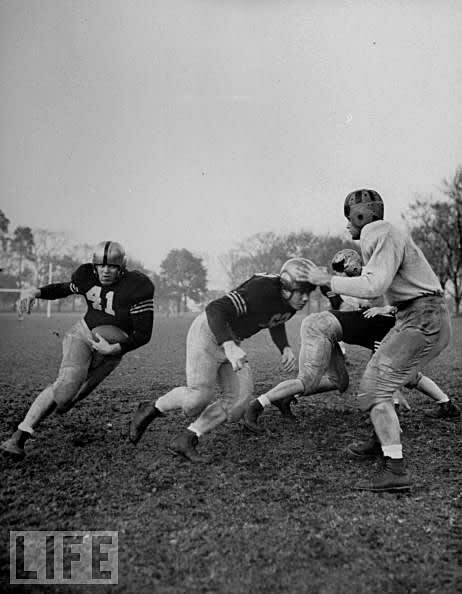 At the start of the following season, Army crushed Notre Dame, who were coming off two consecutive undefeated seasons, 48-0 in in front of 74,000 people at Yankee Stadium. And they did it all after beating some squirrely dude with a bad moustache named Hitler.